Sign up to the SW.net mailing list and receive your printable Scotch Whisky distillery map. We take privacy seriously. 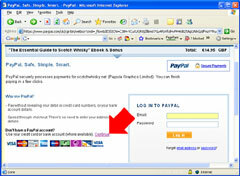 Under no circumstance will your email address be shared with third parties. Thousands of scotch whisky fans visit our parent site www.scotchwhisky.net every day and over the years, we have gained a remarkable insight into the type of information, guidance and advice that people just like you are looking for. Where can I get an introduction to scotch whisky? What are the differences between the different brands of scotch whisky? 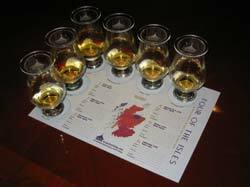 How do you “Nose” or “Taste” scotch whisky? How is scotch whisky made? I have been invited to a scotch whisky tasting – what do I need to know to avoid embarrassing myself?! as we lead you on a journey to transform your scotch whisky knowledge! The eBook, “The Essential Guide to Scotch Whisky” takes a clear, concise, and carefully structured approach to lead you on your journey. We have completed all the research “legwork” for you, allowing you to concentrate on the content – the key facts, tips and recommendations. The information in the guide has been gleaned and compiled from hundreds of different sources, visits, “tastings” and the scotchwhisky.net team’s personal experiences of the best scotch whiskies and leading single malt distilleries. It could take many months invested in research in whisky text books, on the internet and on distillery visits and hundreds of pounds spent on whisky “Master Classes” and whisky “Tastings” to learn just a portion of what is included in this powerful, concise, “easy to read” guide! In a few minutes you could be taking the first steps along the road to becoming the “Scotch Whisky Connoisseur” you have always dreamed of. making educated decisions about your future scotch whisky purchases and enjoying these marvellous historic spirits with a whole new background of knowledge! For a limited time only people who download “The Essential Guide to Scotch Whisky” will also receive the following special “must-have” bonuses absolutely free! Whisky Tasting mats (PDF Format) – the ideal accompaniment to any scotch whisky “nosing” and “tasting” session. Print out the mats for the 5 recommended tastings in Chapter 6 of the eBook to help organise the whisky samples for your own personal tasting sessions! Whisky Tasting Mat 6 : Generic Tasting mat – for your own tastings!! 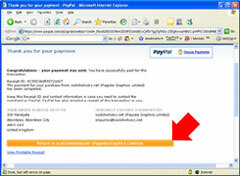 Once your payment has been prosessed please click on the orange button to download. We are so confident that the information included in this eBook is of such excellent value that we will provide a full refund to any customer who is not satisfied up to 6 months after purchase. It should only take a few weeks to absorb the information which is clearly laid out in the eBook– and to gauge the benefits that it provides as it opens up a whole new “vista” to the world of single malts and scotch whisky! However, we are giving you 26 weeks to decide – you can only win ! That’s right, at anytime during the next 182 days, if you are not satisfied with the value of the information provided in “The Essential Guide to Scotch Whisky” and the special bonus, we will refund your entire payment.